The decision by Chris Borland to walk away from the NFL should be viewed as a conscious act of resistance. According to a Sporting News survey, NFL players on social media largely gave Borland a great deal of respect, praising him for the courage of his convictions. Several high-profile NFL broadcasters were far less charitable, taking shots at Borland for making this choice. They sounded disturbingly like Bush, Cheney, O’Reilly, Limbaugh and the whole gang of those who used their advantages to avoid combat in Vietnam only to insist decades later that other people’s families sacrifice loved ones to fight in Afghanistan and Iraq. As much as I despise the comparisons of sports and war, it is just too apt in this case; another example of how easy it is to stew in a whirlpool of toxic testosterone when it’s not your body, your mind, or your child at risk. Unsourced statistics and Frank Luntz massaged PR offensives about “a growing culture of safety” don’t make the game seem safer. They just make the minders of the sport sound like tobacco execs braying about the safety of the new low-tar Virginia Slim with the extra-large filter. Then there was Steelers team neurologist Joseph Maroon who showed up on the NFL network to claim that playing tackle football was safer than riding a bicycle. That, in a nutshell, is the far more serious existential problem the NFL faces. It’s not that there won’t be people “literally begging” to play the game. It’s that college athletes like Chris Borland who don’t come from dire poverty will in greater and greater numbers choose to do something else with their minds and bodies. Many NFL players began their lives in destitute situations defined by hardship, but many others come to the league from stable, middle-class backgrounds as well. That middle-class player, especially those like Russell Wilson and Colin Kaepernick who played multiple sports, will become scarce. Meanwhile, as ticket prices rise, we are facing a sport ready to go “full gladiator” as poor people, disproportionately black, damage one another’s brains for wealthy, disproportionately white crowds. For an NFL that likes to paint itself as synonymous with America and apple pie, this has the potential to just be an awful commercial look. It could become a disturbing revealed truth about where this country is headed. 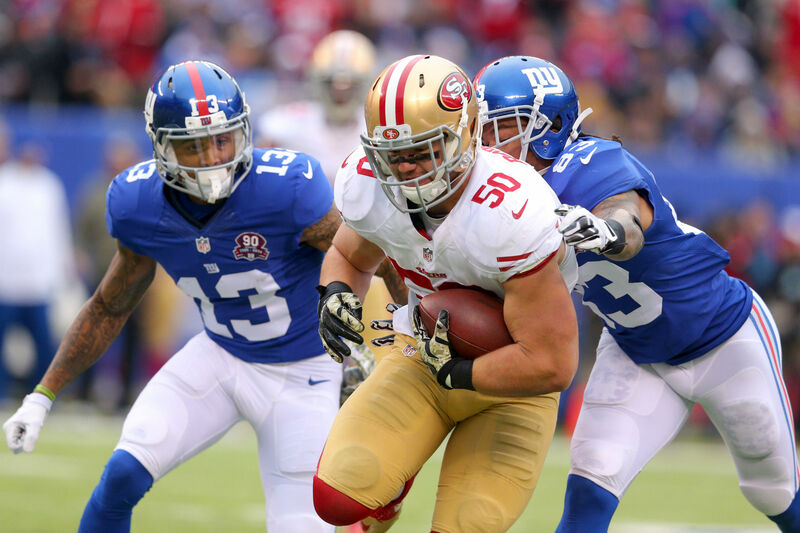 In history class, Chris Borland probably studied Rome. That didn’t end well. But he also surely learned that history could be altered through conscious acts of resistance against the way things ought to be. Mr. Borland gave us such an act this week. His career may by over. But I’d bet a great deal we will hear his name again.